KUALA LUMPUR: Permodalan Nasional Bhd (PNB) has spent RM4.9 billion to buy properties in Australia and London, said president and chief executive, Tan Sri Hamad Kama Piah Che Othman. The fund management company owns Santos Place in Brisbane, Australia and three office buildings Milton and Shire House, One Exchange Square and 90 High Holborn in London. He said PNB was currently in talks to buy another building in London. These talks, he said, were expected to be completed by the end of the month. Last year, PNB was reported to have said it expected the real estate sector to be one of its core sectors, other than securities, and eyed opportunities to invest in properties not only locally but overseas. “PNB has changed. In the past it was shares but now we are looking at real estate which would bring in stable returns,” he said at the announcement of the dividend for Amanah Saham Malaysia for financial year ending March 31, 2012 here today. Hamad Kama Piah said PNB, when it considered buying properties overseas, would look at whether the property would yield sustainable income in the long term. KUALA LUMPUR: SP Setia Bhd will soon launch Tower Two of its Fulton Lane development in the heart of Melbourne city's central business district. In a statement today, the developer said Tower One that was premiered first in Kuala Lumpur in June last year saw strong demand from local buyers and had recorded steady sales with 80 percent of 291 apartment units taken up. “The new launch of Tower Two offers investors 487 units housed in a 45-storey block,” it said. Fulton Lane's Tower Two launch takes place at Level 2, Intercontinental Hotel Kuala Lumpur on March 24 and 25. KUALA LUMPUR: Malaysia Building Society Bhd (MBSB) expects to sell an abandoned project it financed in Johor for about RM150 million this year. "I can't reveal the exact location of the project as we are hoping to hold a tender for it," MBSB president and chief executive officer Datuk Ahmad Zaini Othman told reporters after its signing ceremony with property developer NCT United Development Sdn Bhd yesterday. MBSB and NCT sealed a RM215 million financing facility to revive the country's largest abandoned housing project. Ahmad Zaini said the company had received the necessary approval to go ahead with its plans. When dealing with non-performing loans related to abandoned housing projects, MBSB has the option to either put in more money into the project to revive it, sell off the project to an interested party or go into a joint venture with a developer to develop the property. MBSB's signing agreement with NCT is an example of extending more money into a project in the hope of recovering some of its initially bad loans. It is also working on a solution for another one or two of its other abandoned housing projects. MBSB hopes to reduce its non-performing loans (NPLs) by two to three per cent, closing at between 6.5 and 5.5 per cent this year. The company's net NPLs reduced from 18.9 per cent in 2009 to 8.5 in 2011. Ahmad Zaini said the lower NPLs will be achieved through MBSB's ongoing loan recovery efforts and its increased focus in turning around loans related to abandoned housing projects. KUALA LUMPUR: Malaysia Building Society Bhd (MBSB) will finance the builder and buyers of Malaysia’s biggest abandoned housing project, located in Bandar Baru Salak Tinggi, Sepang as part of its efforts to resolve its corporate legacy accounts issue. MBSB, which is 65.5%-owned by the Employees Provident Fund (EPF), will provide term and bridging finance facilities of up to RM215mil to builder NCT United Development Sdn Bhd (NCT), and an additional RM243mil to the buyers, said MBSB CEO Datuk Ahmad Zaini Othman. “When the new management (of MBSB) came in in 2009, we wanted to find a way on how we can resolve these legacy problems. “And one of the ways is to support this project through NCT to revive the project. “This project have been unresolved for more than 10 years,” Ahmad Zaini said. “We foresee they’re (the buyers) are going to face problems to secure financing from the banks. “So we are also putting up another package which is the end financing package to support purchasers. “We are shifting the corporate risk from NCT to the purchasers,” he added. Buyers will pay an interest rate of base financing rate minus 0.5%, which is slightly more expensive compared with conventional loans because these borrowers are mostly in their 50s, according to MBSB. 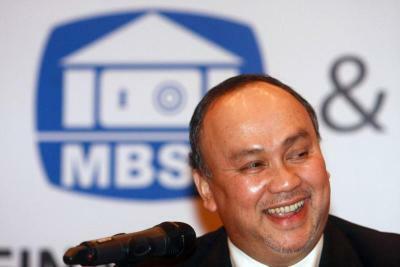 MBSB is also classified as an ‘exempt finance company’ and is thus not bounded by any financial regulators in Malaysia. “It is only fair and just to do so as they (these borrowers) have honoured their initial obligations but failed to receive their end of the bargain,” Ahmad Zaini said. After discussions with the purchasers, an agreement was reached to divide them into two classes. According to NCT, one class of buyers who wish to continue with the purchase will have to top up another 30% to the original purchase price of either RM140,000 (for 20X70) or RM97,000 (for 18x60) units. These units have seen a price appreciation of about 80% since it was abandoned. The second group of buyers can get a full refund for their units as construction of their units was minimum. “This is a big step for us. “Hopefully it will be a win-win situation for all,” Ahmad Zaini said at the signing ceremony here yesterday, adding that there were two more such abandoned legacy projects that were scheduled to be revived. “NPL (non performing loans) will not go away unless and until you revive the project,” he said, adding that MBSB’s net NPL stood at 8.5% as at December 2011. The project, named Taman Kenanga, was abandoned in 1999. The developer, Kumpulan Sepang Utama Sdn Bhd (KSUSB), is currently in liquidation. The signing ceremony of the agreement yesteday involved three parties - MBSB, NCT and KSUSB’s liquidators, GTC Corporate Advisory Sdn Bhd. According to MBSB, the housing project was abandoned due to cost overruns coupled with the “unfavourable economic situation then”. It will be renamed Sepang Perdana and is expected to be completed within two years, said NCT CEO Zulfikri Saidin. The project was initially earmarked to have 2,536 units of commercial, linked houses and low cost houses on 110 acres.